New to The Wires 2018, the Ad Tech Rising Star award celebrates the unsung heroes within the ad tech industry. We speak with this year’s winner, Jody Shilliday (pictured below), head of advertising solutions at Adform, on why digital advertising is such an exciting field and the key challenges that lie ahead for the industry. ExchangeWire: Your role at Adform sees you responsible for the global ad serving, programmatic, creative, and publisher products at Adform. What is so exciting about this area of ad tech right now? 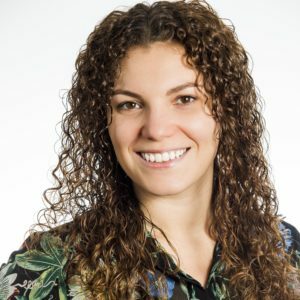 Jody Shilliday: At Adform, our clients use our technology in a very modular way and sometimes in ways we don’t always anticipate, which obviously keeps us on our toes. As individual products – DSP, DMP, and ad server – clients can use our tech in a very advanced way, with bespoke setups and multiple technical integrations. When the client uses these products collectively, we start to see the whole process seamlessly flow together. I worked agency-side for a long time and was driven by achieving the best results for clients. From the planning and operational side, it was nearly always the technical solution that let me down; whereas working on the tech side I am solving those tech challenges for clients. Being able to say, “There, this is what is supposed to happen when everything works seamlessly”, is very satisfying. Within the creative spec, we react to the trends that users are driving. I think this year audio is going to be even bigger and we will continue to see brands executing more personalised creative campaigns at scale. It will be focused messaging, but programmatic, replicable, and highly tailored – repurposing custom messaging across very different use cases, channels, and situations is one of those things that keeps you firing on all cylinders. You mentioned audio – are there any other areas that you think clients will ask about more in 2019? Connected TV is definitely something we are getting a lot more questions about. In the U.S., the technology layer on the delivery mechanisms alone is much more standardised. When you start to compare that across all of the different types of connected devices and delivery mechanisms elsewhere it becomes very fragmented. To be able to replicate those strategies, and apply them across the globe, is obviously the end goal – but I think there are so many theoretical ducks in a row that need to be put in place on the supply-side first. On a more immediate note, dynamic creative is still growing and again something we are seeing a lot of interest in. In general, there seems to be a shift towards bringing media and creative closer together. There are a lot of efficiencies with streamlining the creative production processes, which are of course a draw, but the personalisation opportunities it brings at scale mean ads work harder, are more meaningful, and fun creative tactics can be applied. What we miss a lot in advertising is that element of surprise and the element of joy; and this only happens when it is applied well and consistently. To do that in all of the key markets takes some leg work and that’s the challenge we face in 2019. During your time at Adform, how have you had to help face industry challenges? The General Data Protection Regulation (GDPR) is obviously the big one. We had countless conversations with Adform clients, and those in the industry, trying to help provide that understanding of how our clients and others would be impacted. I heard absolute horror stories of brands deleting entire databases – years and years of historic data. Compliancy was an insurmountable challenge, so some brands drew a line under it and started from scratch – they are still feeling the ramifications today. I think it’s a wait-and-see game. We almost expected that once GDPR rolled around, then all of a sudden everything would become clear, and obviously that’s not the case. We helped coach our clients so that they felt comfortable, prepared, and understood the obscure clauses and legal jargon. We gave them the confidence to keep striving for data compliance, rather than shy away from data altogether. This is something we continue to talk to our clients about, as well as the upcoming e-privacy regulation, so this is by no means the end of it. 2018 was a challenging year, with the introduction of GDPR, further brand safety scandals, and a focus on cleaning up the supply chain. But what challenges do you think 2019 holds for advertisers? 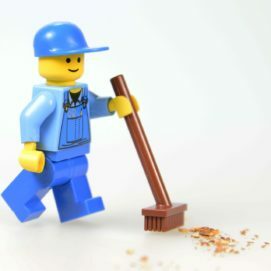 Cleaning up the supply chain will remain a focus, especially bot discoveries, such as our own efforts uncovering Hyphbot. For every success story, there’s an awful lot of murky things that are yet to be uncovered. I know that’s the case especially around questions of viewability – in-focus or out-of-focus viewability. A big challenge is caching, especially when it relates to things like video plays where there are gaps in how definitions are standardised, leaving grey areas that can be compromised. I think there will be a lot more, almost methodical, scrutiny of things like the standards we hold up as the benchmark to what we expect from all of the players in the industry. We also have a lot of interest from agencies and clients wanting to take more control of their media supply, bridging both the buy- and sell-sides, and I think we will see more of this in 2019 as well. You’ve been heavily involved in the IAB UK Mobile, Native, and Video councils, and now the IAB.com councils, and have previously supported mentor and apprenticeship programmes. How important are these industry initiatives to ensure the development of a sustainable ad-tech ecosystem? I think the IAB is the gatekeeper for a lot of our industry standards, and I know that many of our clients use that as the foundation to build upon. It sets a really good ground layer of how we expect all players in the industry to behave. I’ve learnt so much coming from the agency side to the tech side – certain things I never considered from an infrastructure standpoint. It’s groups and initiatives like the IAB that bring all of the separate parties together – the media owners, the publishers, the agencies, the brands, and each of them brings their viewpoint. It also allows them to voice their concerns in a solution-focused forum, where there’s quite a lot of output that they may not have come across before, so collating that is invaluable. When it comes to apprenticeship programmes, The Creative Pioneers is an initiative I participated in on the agency side – it was for those who hadn’t had the traditional education usually associated with the advertising industry, it also included people outside of the London bubble. I had the privilege of hosting apprentices in more than one team, and they proved to be some of the brightest, most creative, and productive employees, and the best part: they learnt everything on the job. They proved that having a university degree is not a prerequisite for being part of this industry and I found it brought a lot more creative people from very different backgrounds who had a point of view that wasn’t necessarily being represented. I think it is really important that these programmes continue to bring in people from all walks of life – it really drives us forward. At Adform, we have our Yellow Belt programme in our head office. Like the Creative Pioneers programme, the candidates rotate through all of the various departments, giving them a helicopter view of the inner workings of the entire company, which proves invaluable when they later take on a full-time role. Those different points of view are important, that’s one of the things I really like about Adform, that it is quite diverse – we have a broad range of generations represented with a workforce consisting of people in their 20s right up to age 60 and beyond. The company champions that diversity and I think that’s pretty great. You have an impressive background, with over 10 years experience in social, marketing, and advertising. Now the Head of Advertising Solutions, how will your current role see you developing further, and what does 2019 hold for you? The reason I’m really enjoying working at Adform is because I am constantly challenged and learning new things. With the breadth of the product suite that we have, versus the smaller part that I’m responsible for, every day offers up learning something new, a new feature, a new capability or tactic that can be used. Once you understand the inner workings, and you’ve translated the benefit of it, then you can bring that into the various solutions that you’re building for your clients. When I worked agency side, I found it frustrating when a vendor would be pushing shiny new features, when the core of the tech didn’t work efficiently and I would be thinking “I don’t want that new feature, I just want it to do the basics better than anyone else”. Now I’m in a position where I can help make that happen, getting the core technology working better for our clients and finding the right mix of the product suite to suit their needs. There’s always something to learn and an exciting puzzle that can be solved or a way of working that we haven’t yet uncovered that can save time or improve results. The openness of the company is really exciting to me. Our three co-founders remain very involved, they are still very present in the office, and we are able to talk to them about their point of view or their plans for the future. We are also able to relay the client’s questions, concerns, and their ideas for the future. To then be able to turn around and action it in some way is really interesting – there’s always a new toy to play with.